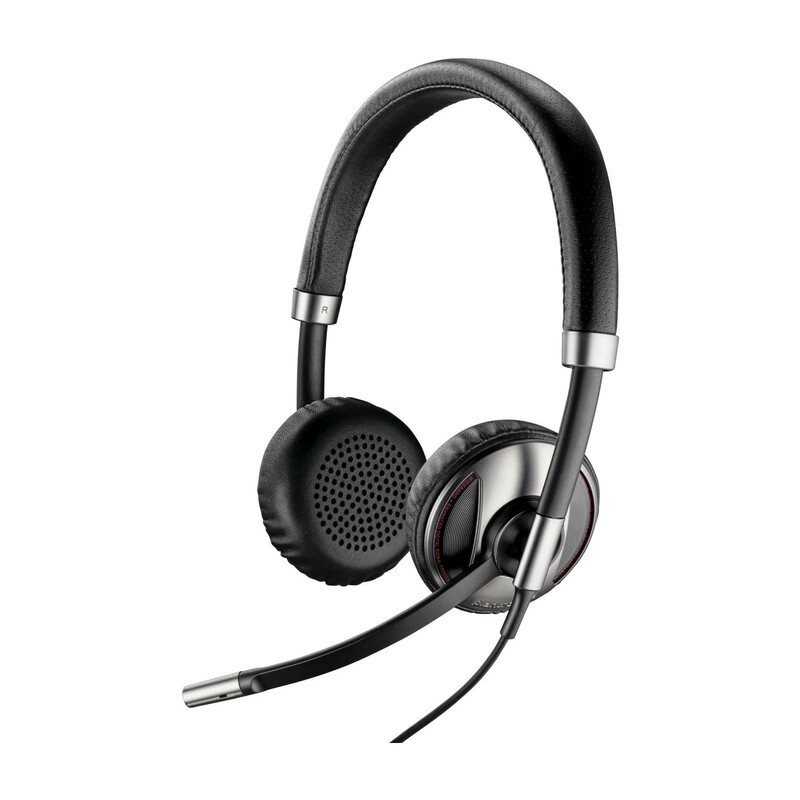 Certified for use with Microsoft Lync, the Plantronics Blackwire C720M is a stylish stereo headset designed for companies that use UC telephony systems. Comfortable and dependable, this headset provides both the reliability of a corded headset with the flexibility of a wireless headset. 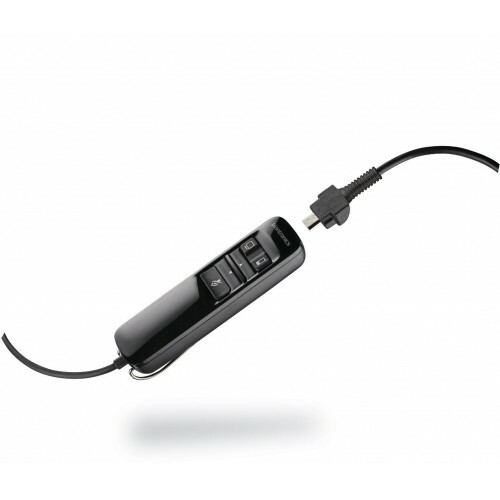 Sporting both corded connectivity and wireless Bluetooth connectivity, you can use the Plantronics Blackwire C720M with a wide range of devices from the latest smartphones to tablet, desktop and laptop computers. 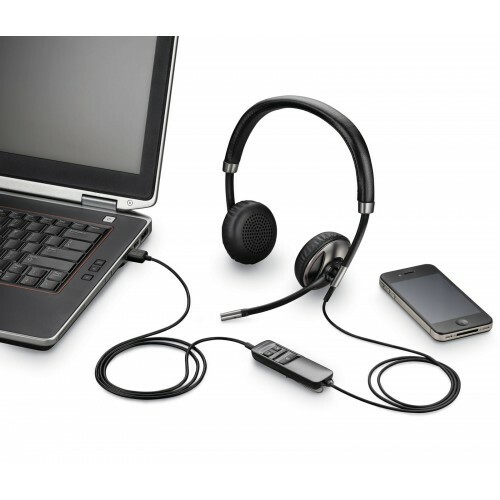 The cable is easily detachable, and when used as a wireless headset, it provides up to ten hours of talk time, making it perfect for intensive use throughout the day. 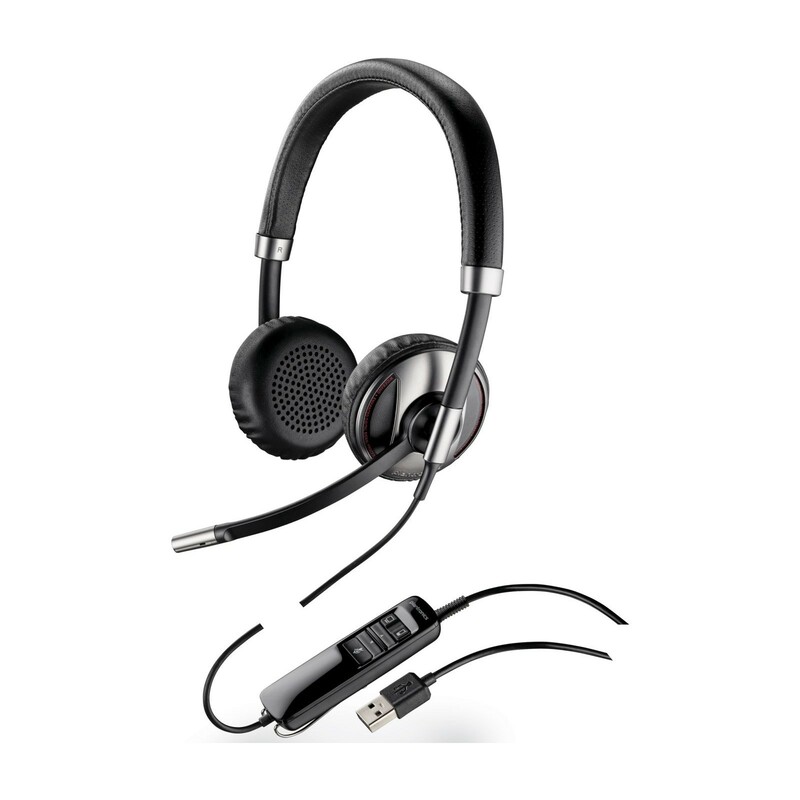 In addition to featuring convenient in-line call management and volume controls, you can answer incoming calls by putting on the headset without touching any buttons thanks to Plantronics' Smart Sensor technology. When you take the headset off, it will automatically put phone calls on hold or pause media playback to conserve battery power. The Plantronics Blackwire C720M is best suited to companies that use Microsoft Lync for their Internet telecommunications, and it offers excellent comfort and flexibility for intensive daily use.